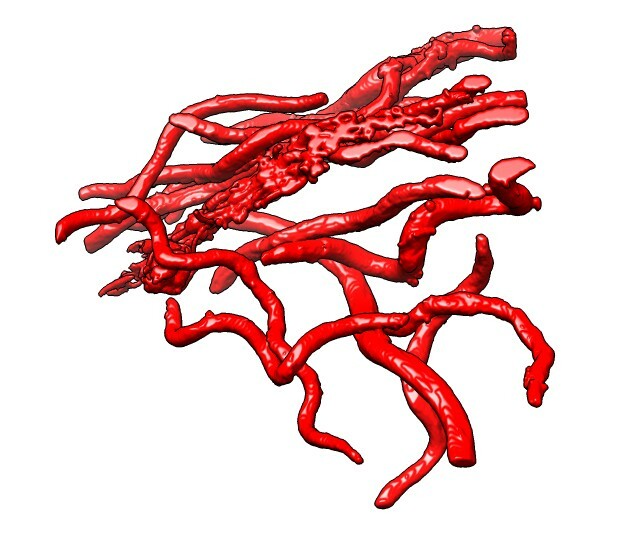 Molecular visualization and analysis software. Used by a few thousand research labs. 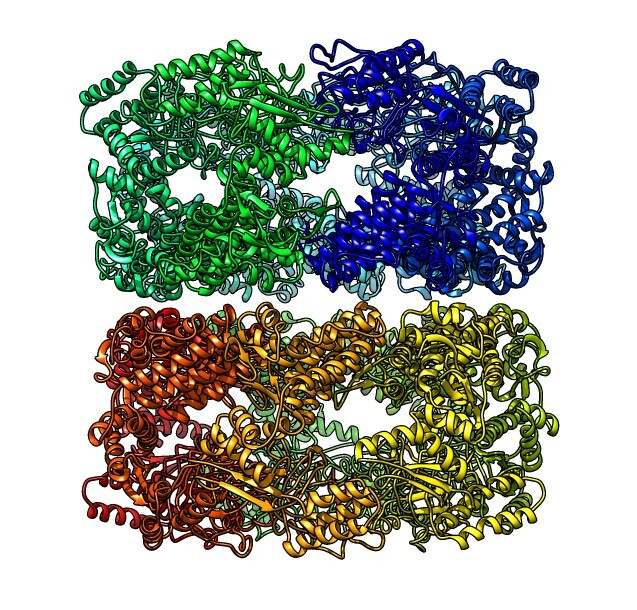 For analyzing functions of proteins and molecular assemblies. 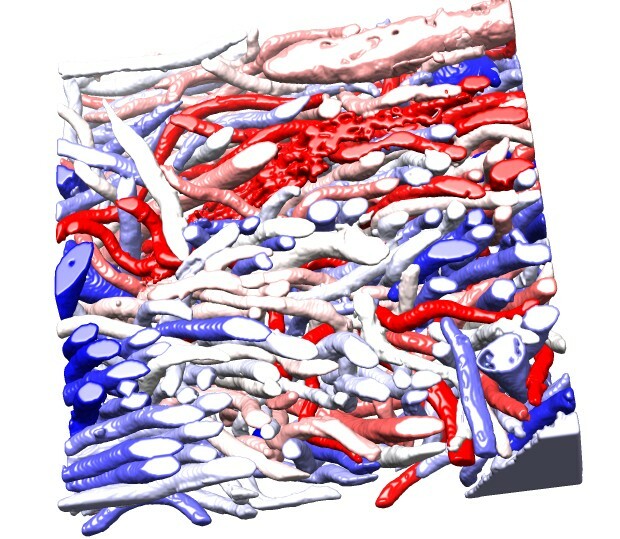 For viewing and analyzing 3-dimensional microscopy maps, mostly electron microscopy. 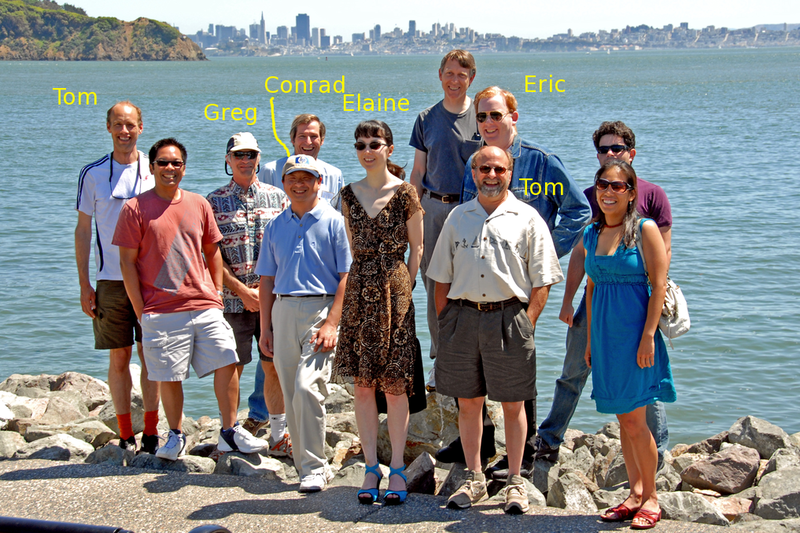 Developed at UCSF by the Resource for Biocomputing, Visualization and Informatics, headed by Tom Ferrin. Free for academic use. Available on Windows, Mac and Linux. 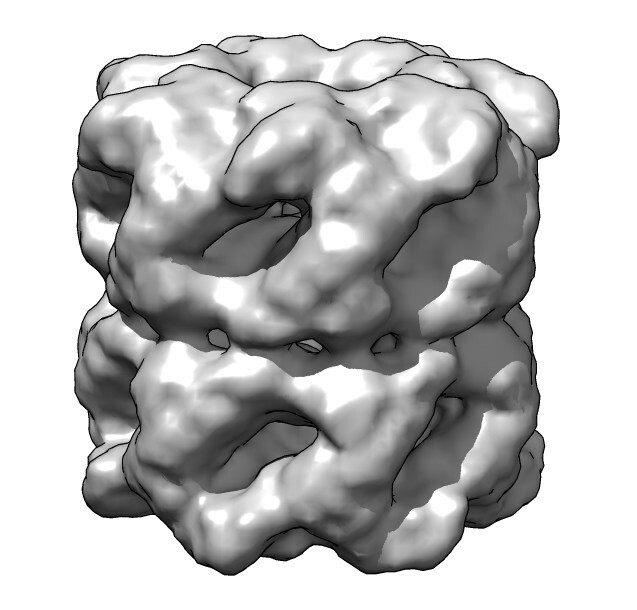 Example exotic uses of Chimera molecular visualization software. 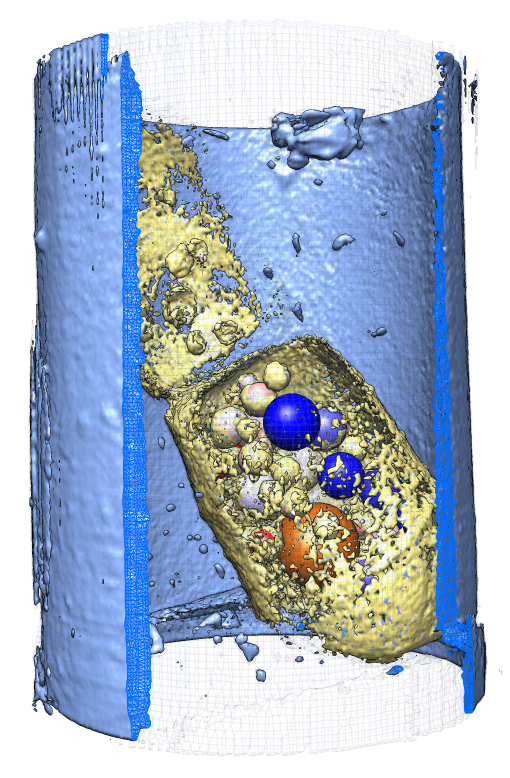 Electron tomography of human immune T-cell, 4.6 x 4.6 x 0.17 um. 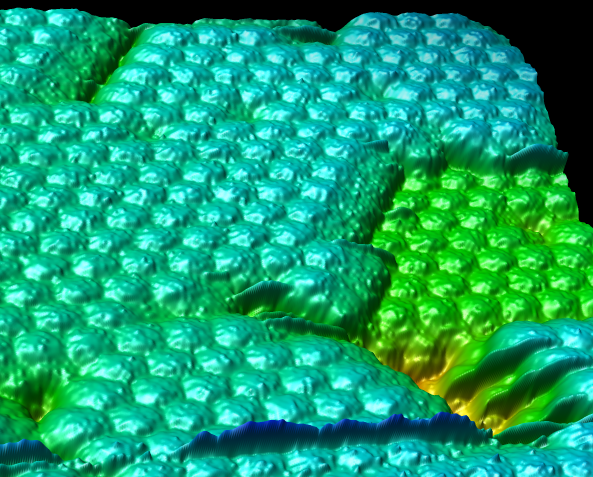 Atomic force microscopy of crystallized satellite tobacco mosaic virus, 0.24 x 0.24 um. 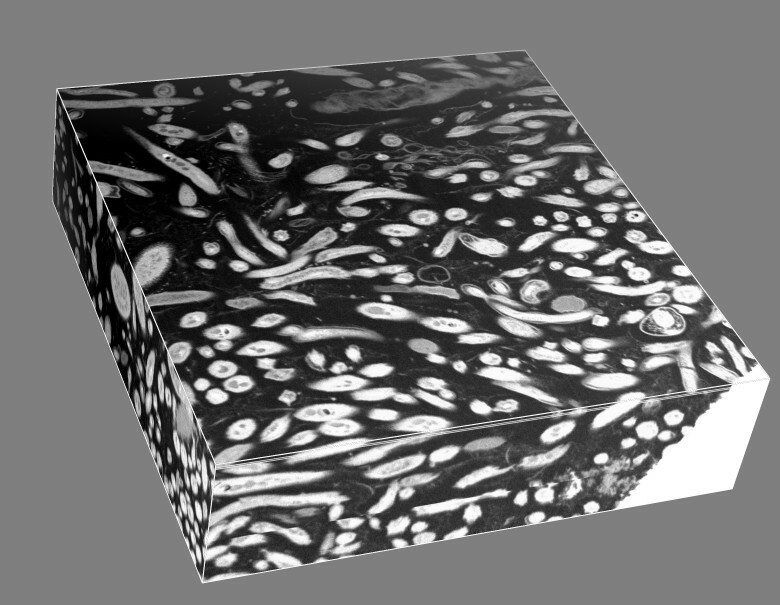 X-ray tomography of Pombe fission yeast cell, 5 x 5 x 12 um. 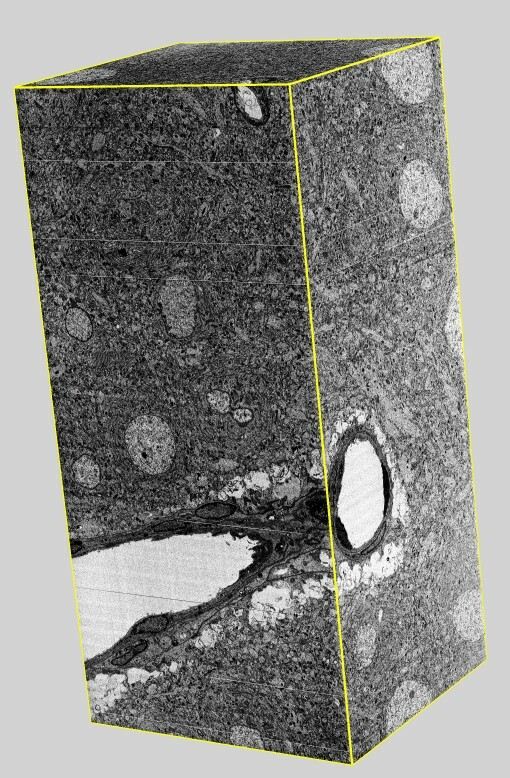 Serial block face scanning electron microscopy, rat brain, 50 x 50 x 100 um. 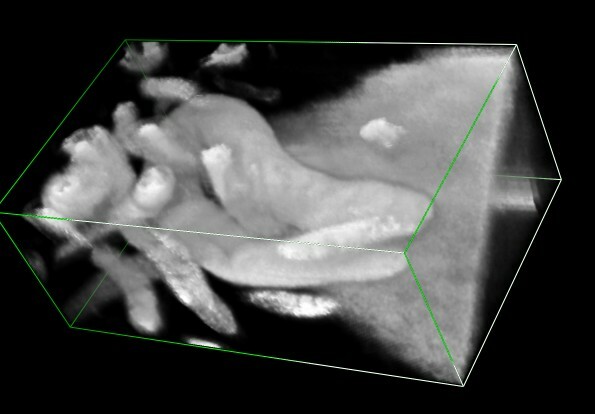 Focussed ion beam scanning EM, termite gut, 9 x 9.6 x 2.4 um. 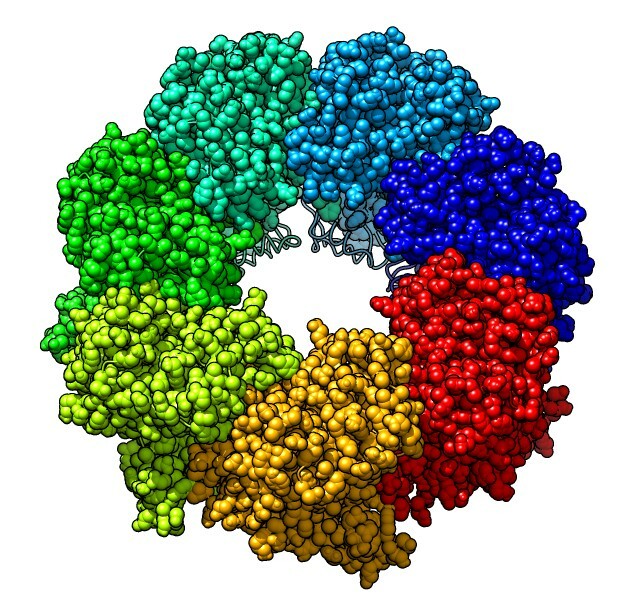 Here is an example of a common Chimera use: studying molecular structures. 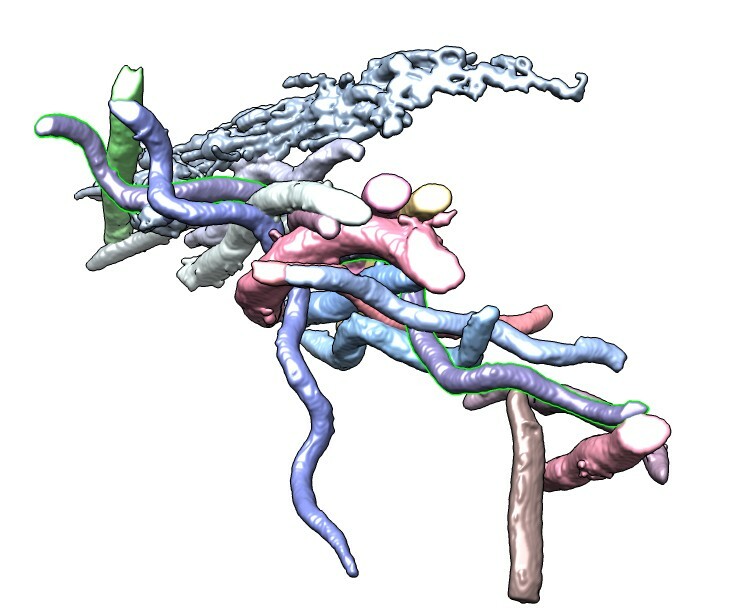 We combine x-ray crystallography protein models with single-particle electron microscopy of molecular assemblies using map segmentation and fitting and symmetry. 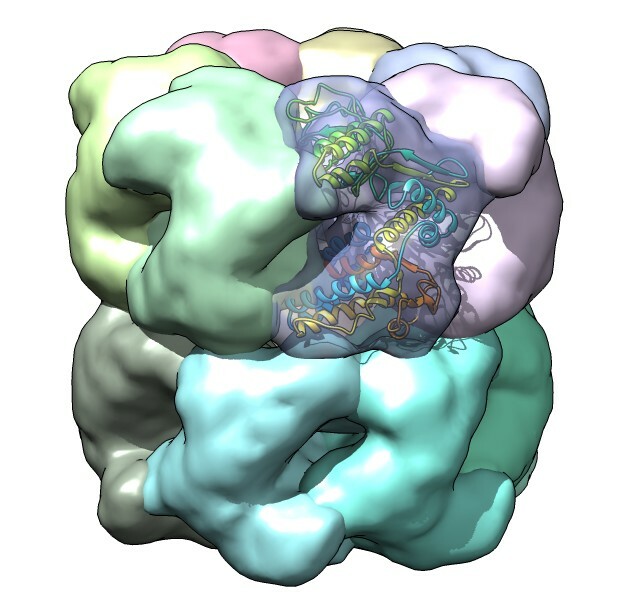 GroEL protein refolding machine, PDB 1grl, EMDB 1080. GroEL atomic model. 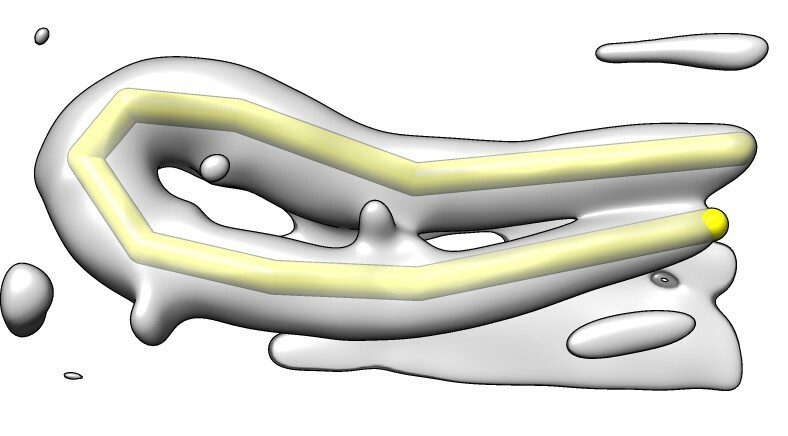 Hydrophobicity surface. EM map of assembly. Segment and fit map. Full atomic model. Bacteria in termite gut convert plant cellolose to useful fuel. Over 200 species of bacteria in gut. 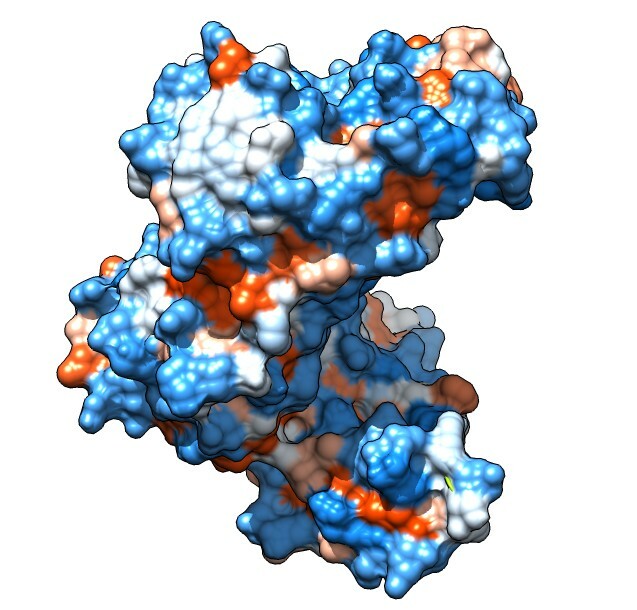 Could some be used for biofuel production? orthogonal planes, box. Extract one bacterium. 4.4 um long. Measure length by placing markers on smoothed map. Another termite gut map. 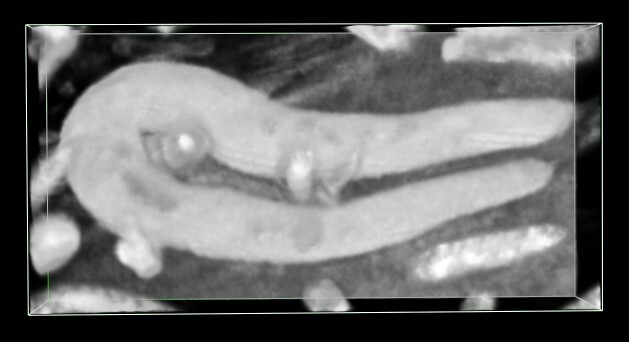 Segmented bacteria. 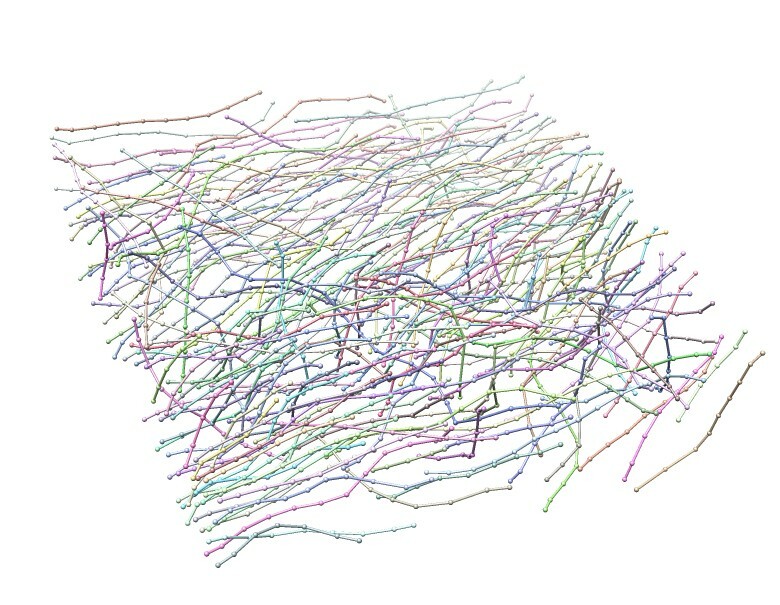 Autotraced spines. Colored by length. Over 6A long. Contacts with one bacterium. 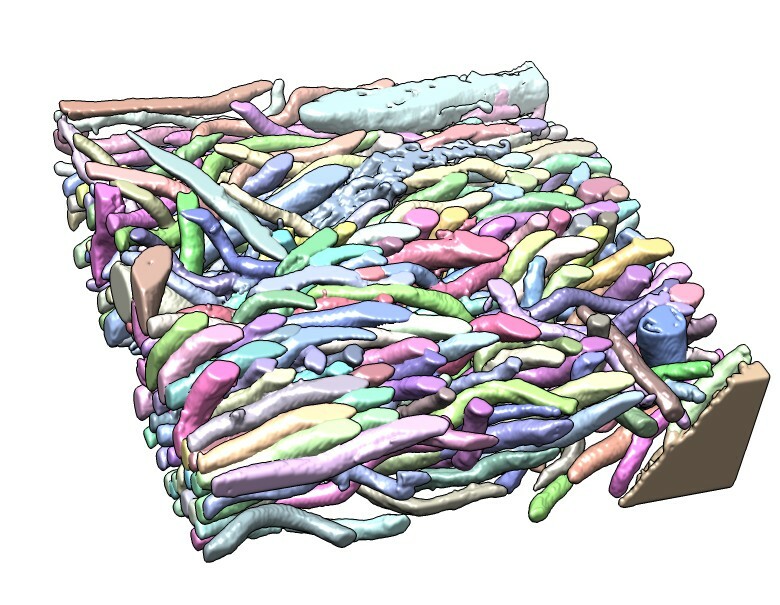 Cross-sections of one selected bacterium computed from spine path. 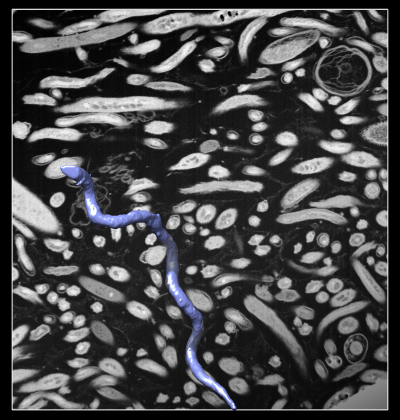 Segment bacteria by clicking and dragging mouse. Color spreads to neighboring region but not into already colored bacteria. Video examples, tutorials, extensive manual. 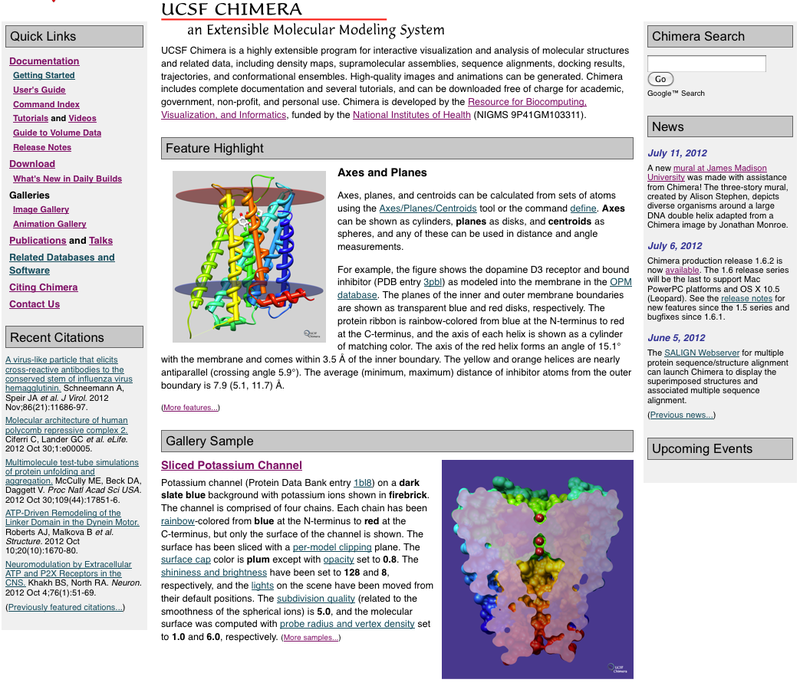 Chimera is developed by 5 people at the University of California, San Francisco.